If you own a Small Business, you’re probably really good at doing the things that define your business. You can focus like a laser on your products and the needs of your customers. Unfortunately, that focus often comes at the expense of managing your back-office operations. BizCoffer software is designed to change all that. Quite simply, our software helps you get your sh*t together so you can focus more of your valuable time on your customers. BizCoffer software will manage your operations so you can work on your business, not in it. Here’s a list of the main features in BizCoffer’s software. If you’re more hands on you can log into a live demo account by clicking the demo button below. Feel free to edit items, add things, and in general put the software through its paces. After you log out, the demo account is rebuilt for the next person. Manage everything from invoicing, accounts payable/receivable to income and expense recording. No more QuickBooks! Process point-of-sale transactions and invoices. Maintain inventory, supply and service lists. Manage employee work schedules and actual worked hours. BizCoffer offers easy integration with payroll service vendors. Visually track events including: invoicing and billing, projects, employee schedules, training and customer service resolutions. Save and quickly view details about customers, employees and vendors. Track and manage customer service issues. Never drop the customer service ball again. Track customer and in-house projects using phase tracking and hourly billable and non-billable tracking. Eliminate the need for email and allow employees to share information using a lightweight messaging system. Keep notes regarding customer preferences, employee training, work performance or anything else usually relegated to sticky notes. Make data meaningful and unlock the true power of information consolidation. Bizcoffer reporting brings it all together. BizCoffer allows multiple user types for various levels of access: owner, administrator, supervisor, employee and accountant. Organize your information with simple sections that are easy to find and use when you need them. I started my first small business in 2009 and as a certified geek, one of the first things I did was look around for software to help me manage the back office operations. Every technology solution I found only managed one part of my business. These complex stand-alone products were also expensive. So, like most small business owners, I pieced together enough partial software solutions along with good old fashioned paper notebooks and got by. It felt like the small business owners were left out of consideration when tech companies decided who to serve with their products. Some of these companies offered simplified versions of their larger software, but these abridged versions were still way too complex and expensive for most small businesses. I was involved in a software project and over the course of the project I realized I could build the software I had been looking for back when I started my own company. I could make a comprehensive, yet usable software solution that would help small business owners better manage their businesses. So I did. That software is BizCoffer. BizCoffer was created as a real solution to a real problem: small businesses are being under-served by the technology community. Technology should help everyone and we want to be a part of that effort. We’re not a flashy startup with loads of investors, we’re a small business trying to help other small businesses and we hope you’ll take a look at our software to see how it can help you. BizCoffer was born as a real solution for a real small business problem. 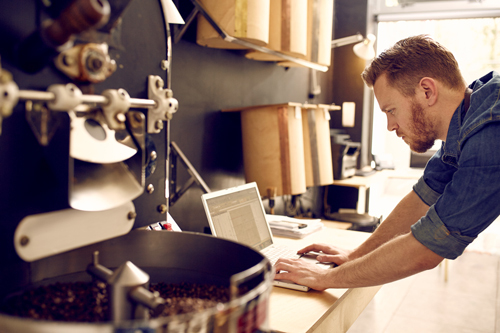 We believe the software industry under-serves small businesses. BizCoffer provides affordable and comprehensive software designed specifically around the needs of small businesses. We are dedicated to serving the small business community by creating innovative and targeted software. Everyone deserves good software. Customer Service is at the core of who we are. 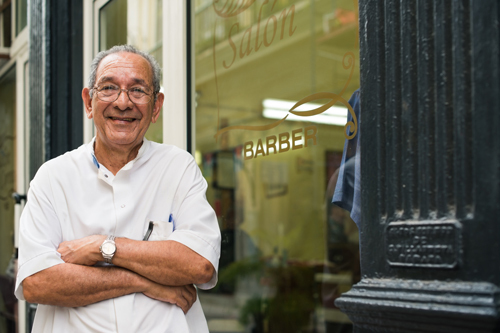 Like you, we are small business owners and are proud to provide individual attention and support. Without a caring support team, business software is just pretty things on a screen. Contact our support team via email: support@bizcoffer.com or call us at 515-329-0338. One of the ways we are helping the small business community is through our Chamber Affinity Program. Chamber of Commerce organizations can partner with BizCoffer to offer our software to their members at special reduced rates. The Chamber also receives a portion of the proceeds from these reduced rates. Contact us for more details on this non-dues revenue program designed specifically for Chambers. BizCoffer is hosted on Microsoft’s Azure cloud platform. Azure is the industry-leading cloud software provider with decades of experience delivering fast and secure software hosting. Your BizCoffer data is secured by one of the largest and most successful cloud software companies in the world. Read more about the Azure platform here. 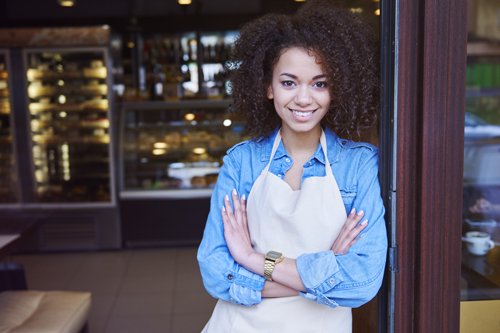 Small businesses employ almost half of the workers in the United States and produce almost half of the United State’s GDP (from the SBA). We were born as a small business, we continue to operate as a small business and we exist to serve other small businesses. Our pricing model is very simple: $75/month. That’s it. No upcharges for the “real” features. No pricing tiers for additional users. No contracts that lock you in for a year. Just one monthly fee of $75. We even let you manage more than one business on your account as long you own the additional businesses. Click the button below to get started!